The order followed the allegation of large scale fraud leveled against the Rector, which could cost him his job. Okpo has stirred the honest nest when he consistently accused the Nigerian Maritime Administration and Safety Agency( NIMASA) of starving the school of funds through the agency’s alleged flagrant refusal to release the statutory five per cent subvention funds to the Academy. It was gathered that the Rector also told the Minister, who was newly appointed , of NIMASA’s recalcitrant attitude towards the release of the statutory funds, an action he said continued to frustrate the infrastructural development of the institution. The Minister was said to have summoned the management of NIMASA to his office and asked why it was sitting on the subvention of MAN, Oron. However, the bubble burst when the Minister was told by the Acting Director-General of NIMASA, Haruna Jauro that the agency had remitted over N18billion to the Academy since 2009. At the enquiry of the Minister, Okpo said he only took over in 2011 to which NIMASA declared that a sum of N13billion was remitted to the institution since the Rector took over. Alarmed by the quantum of the funds, the Minister was said to have become livid with Okpo whom he said had told him ‘lies’ about the true situation of the disbursement. When asked to explain what he had done with that huge sum against the backdrop of lack of physical infrastructural development of the institution, Okpo was said to have given inconsistent and incoherent answer. ‘’I could have sacked you and your Finance Director straight away’’, the Minister was said to have threatened. He was however said to have ordered immediate audit of all the amounts said to have been remitted to the institution since 2009. In addition, Amaechi has decided, along- side NIMASA management staff and relevant ministry officials, to commence on the –spot- assessment of the facilities at the Academy in a bid to ascertain to what use the enormous amount received by the Rector was put. ‘’We could have gone last week Tuesday but for the trip the chief executive of the agency and the Minister made to London to attend IMO meeting. When they come back this week, we shall carry out the Minister’s directive’’ a source declared. It was also learnt that the Minister asked for the model of a similar institution in Egypt to compare with what is on ground in MAN, Oron. ‘’Clearly, Okpo is in trouble and he may be the first victim of the axe-wielding Minister’’, a source in the Ministry of Transport said. It was also learnt that Mr Okpo gave a commercial bank account details to receive the one billion naira last quarter subvention contrary to the spirit of Treasury Single Account (TSA) policy. ‘’Just like all the government agencies, MAN, Oron has its TSA number yet the Rector decided to use unauthorized bank account details to receive last quarter subvention. This was what was responsible for the delay in the release of the last quarter remittance which we have now released after he provided the necessary and legally recognized bank details’’, another source disclosed. Okpo was also accused of spending over N10 million to organize Christmas jamboree last year immediately NIMASA released over N700m to the Academy last year as part of the agency’s statutory quarterly allocation to the academy. Aside this, sources from the Academy also revealed that the Rector was always on a spending spree whenever the institution got money from NIMASA. The source revealed that the Academy’s Rector also favour some contractors when it came to payment. “When he has finished the money from NIMASA, he will start running to NIMASA for allocation even the short courses that the Academy is expected to make money from, nobody is asking them what they are doing with the money. “He equally established centres in Calabar and Port Harcourt where so much money is spent to run the centers yet no money is being made from them. We are wasting government money in this academy”, the source revealed. It was gathered that with this discovery of indiscriminate spending by the Academy, NIMASA will start an oversight on MAN, Oron. “The Senate and House of Representatives having oversight over MAN, Oron the way they have over NIMASA but with what is coming up now, it appears that obviously NIMASA needs to get it acts together and oversight MAN Oron to ensure that the money we release to the institution is judiciously spent’’, a respondent declared. Effort to get the response of the Rector on the financial status of the academy proved abortive as calls and text messages sent to his phone were not replied. 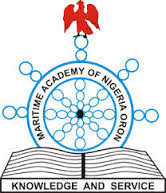 When contacted on the status of the finances of the academy, the Bursar of the maritime institution, Folorunsho Kayode said it was only the Rector who could give the financial status. “As I am presently, I just finished the marriage of my younger brother in the village and am tired. Also, am an employee to the institution and it is only the Rector who can talk on it’’, he pleaded. The Public Relation Officer of the Academy, Sidi Mpadiok said accusations of financial recklessness against the Rector did not just start today. According to him, the Rector had been accused of series of financial recklessness by people he described as disgruntled elements. “Well, I can’t answer for that, I can’t answer for the financial status of the academy. NIMASA and the Rector are the ones that can say things about the finances of the Academy. “Financial recklessness is nothing new and this has been addressed. "Agitators have nothing new to say ,most of them are disgruntled and until we get the detail, there is nothing i can say”, the institution’s image maker declared.